In the first flash sale of the Redmi Note on December 2 on Flipkart. Now, Xiaomi has officially announced the number. 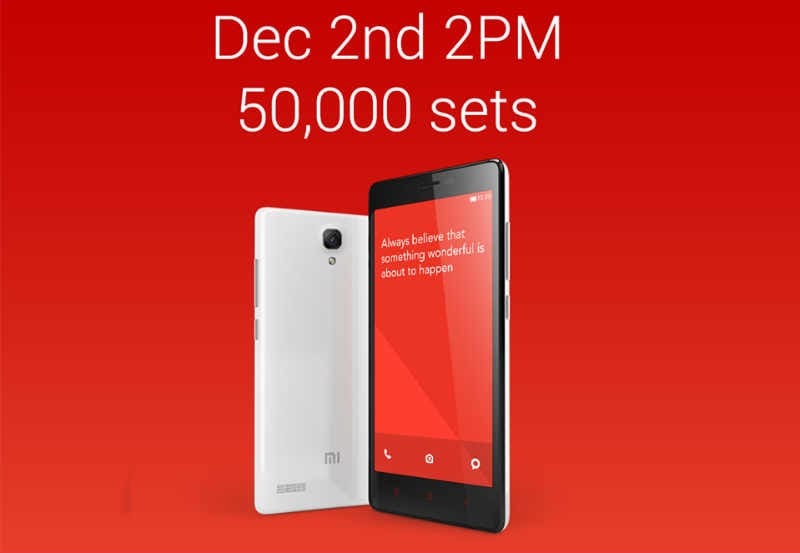 Up to 50,000 units of the Redmi Note are indeed going to be on sale for registered users at 2:00PM on Tuesday. Notably, this is 10,000 units more than the Redmi 1S first flash sale, where only 40,000 units were made available on Flipkart. Xiaomi reiterates that only registered members will be allowed to participate in the sale and only one device will be sold per user. Flipkart suggests registered members to be online at least two hours prior to the sale to up their chances to grab the device. Flipkart has also announced an exclusive offer for its Flipkart First customers. The first five thousand Flipkart First subscribers who register for the sale will get the Redmi Note added to their cart automatically and they can purchase the Redmi Note on December 1 at 6:00PM, one day prior to the flash sale. This is similar to what Flipkart did when it launched the Redmi 1S in India. However, many customers complained that the device was not added to their cart on the promised date by Flipkart. To recap on the specifications, the Redmi Note flaunts a 5.5-inch HD (1280×720 pixels) IPS display with a pixel density of 267ppi, and Gorilla Glass 3 protection. It is powered by a 1.7GHz Mediatek MT6592 octa-core processor paired with 2GB of RAM. The phablet features a 13-megapixel rear camera, a 5-megapixel front-facing camera, 8GB internal storage and 3,100mAh battery. Connectivity options include dual-SIM card slots, 3G support, Wi-Fi, Bluetooth, and on the software front it runs on Android 4.2 Jelly Bean wrapped under MIUI version 5.